Days ago a few songs by Katy Perry from her upcoming album called Prism had been intentionally leaked online. One of these songs is entitled Unconditionally, which sounded very much like E.T. (Extra Terrestrial) from her previous album. It received a lot of positive reviews, so there is no surprise that Katy Perry would release it as her second single (even if it is planned before hand) from said album. 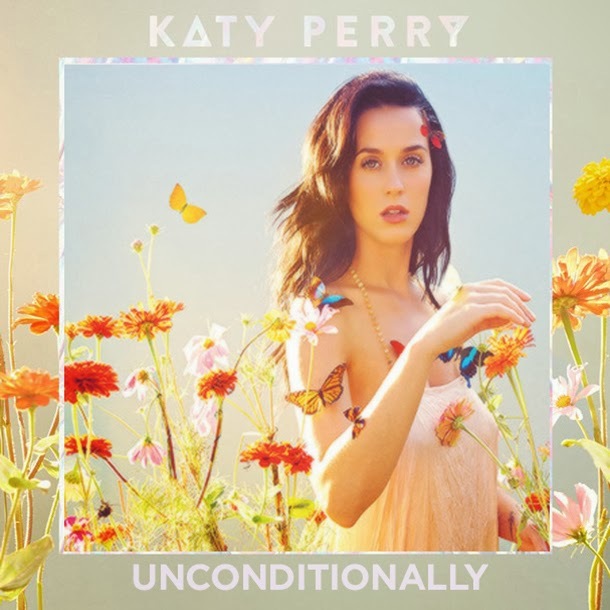 Unconditionally is the fifth track in the list, produced by Dr. Luke, Max Martin and Cirkut and written by Katty Perry, Lukasz Gottwald, Max Martin, and Henry Walter. The song talks about a love despite all the flaws of a loved one, which is definitely also very much like E.T. Sing along with this fantastic lyric video of Unconditionally by Katy Perry. The song is nice melody and tune coming from the singer, where she refrained from belching and focused on the smooth mixture of her vocals and lucid-like tempo. Unconditionally could very well be the best song from her next album. This official lyric video for Unconditionally by Katy Perry is directed by Charles Bergquist and produced by Kashy Khaledi. The fourth studio album by Katy Perry called Prism will be out on October 22, 2013.